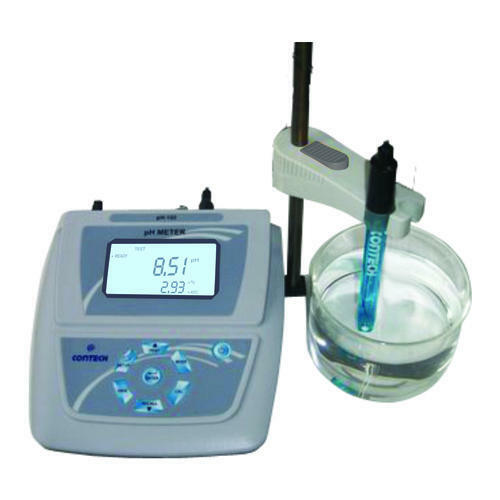 When it comes to purchasing a Dissolved Oxygen Meter, our product is the best possible choice for clients. The product has been manufactured in such a way that it is able to deliver the most accurate reading under all circumstances. 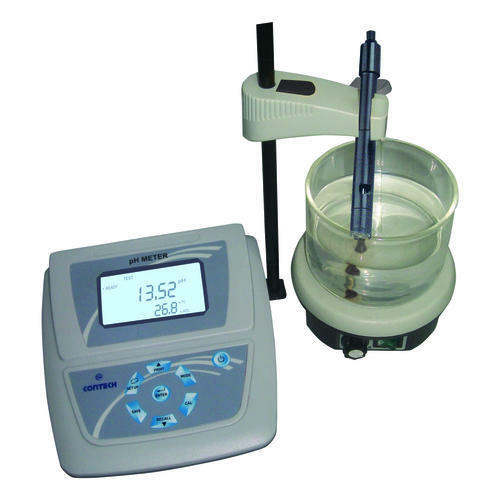 This particular equipment is generally used to measure the saturation of the solution and the oxygen concentration. 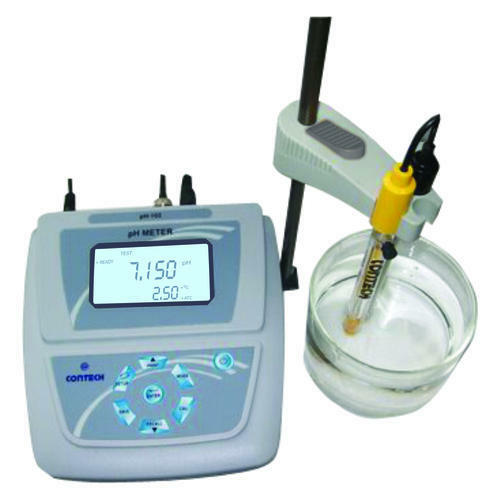 Dissolved oxygen electrode with the salinity measurement feature to achieve automatic salinity temperature compensation. When it comes to best in class ORP Meter we are the company that can offer the best solution. This product is used to test a liquid’s oxidation reduction potential especially in waste water and common solution. The electrode of this instrument is sensitive enough to take the most intricate reading and display it on the LCD. pH, Rel.mV and temperature measurement. Multiple Printout types. Combinations selectable from Sr. No.,pH, Rel.mV, Date, time and temperature. 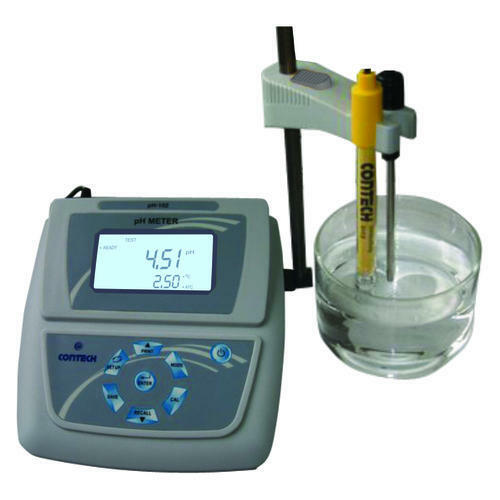 Contech Laboratory Conductivity Meter can measure Conductivity, Resistivity, Total Dissolved Solids(TDS), Salinity Temperature of any solution. This instrument is suitable in the field of water quality monitoring, aqua culture, biological agriculture, scientific educational research, food safety, petrochemical and environmental protection. It uses ECNG01 glass electrode with a platinum plate sensitive element coated with platinum black to avoid errors due to polarization especially in solutions of high conductivity. Bi directional RS232 interface. Baud rate selectable from 1200,2400, 4800 and 9600. We are leading manufacturers of Multiparameter Meter. pH , mV, Conductivity, Resistivity, TDS, Salinity, DO, Ion Concentration,Temperature modes. Automatic air pressure compensation for DO with the help of air pressure sensor. 2 point Ion concentration standard solution calibration. 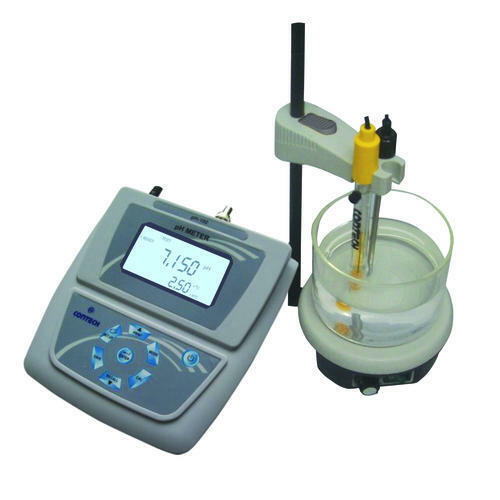 Switching option among 3 measurement units of Ion concentration, pX,mg/L, ppm. Bi directional RS-232 interface. Baud rate selectable from 1200,2400,4800and 9600. We offer supreme quality Lab PH Meter that gives an accurate reading under various circumstances. The equipment is manufactured with the best in class materials available in the market and so clients can use these meters without any concern. This product has been tried and tested and their authenticity has been ascertained many a time. The Ion Concentration Meter that we offer is specially designed for laboratory testing purposes, though they can also be used outdoors. The product is manufactured from the best quality materials available in the market and hence clients can be rest assured that they are going to have the best performance from it.